You’ve almost made it… it’s the second to last day in this series and we’ve just one more tool to discuss as part of the development toolchain! Today’s installment will cover Webpack. While there are many different ways you can address this challenge, the way we do it with the SharePoint Framework is with Webpack. 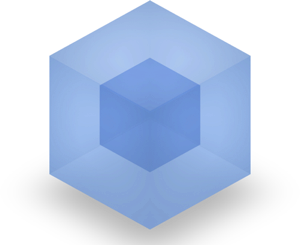 Webpack is a module loader that you run prior to packaging your SharePoint Framework project. It takes modules with dependencies and generates static assets representing those modules. Webpack differs from other module loaders in a few ways. The other aspect you will find useful with webpack is plugins. Plugins let you extend Webpack to meet your needs. For instance, you can have a plugin that minifies your code, removes duplicate code, or does other things to your code as part of the bundling process. Webpack is built on top of Node.js. In addition, unlike other tools we’re using in our development toolchain, we do not need to explicitly install Webpack. Webpack is referenced by the packages Microsoft includes within the default scaffolding defined by the generator. At this point, we have reached an end to the look at each of the different tools in the development toolchain. There is just one last topic I want to cover before we wrap this series up: editors vs. IDEs. But that’s for tomorrow, so have a great day and I’ll see you then!